We stayed overnight in a beautifully refurbished room at this pub on Gloucester Road in the Bristol suburb of Horfield, about 500 metres from where my great-grandpa Carey was born. Here was the view from our window. 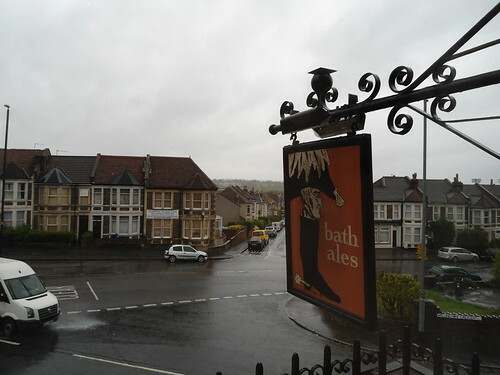 This pub proudly featured Bath Ales on tap, probably because the brewery also owns the establishment. I unfortunately didn't sample any, but I can tell you that the veggie breakfast is pretty good and they make a decent cup of coffee.